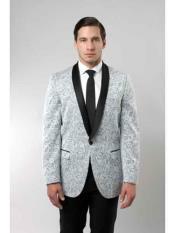 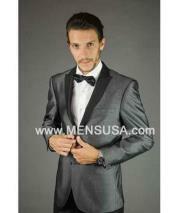 Men's Silver Slim Fit Two Toned Black Lapel Shawl Collar Dinner Jacket Looking! A tuxedo or a tux is a form of a dinner suit jacket which is different from a formal business suit and is more appropriate for a semi formal event. Tuxedo pants feature matching satin stripe going down the outer leg of the pants. 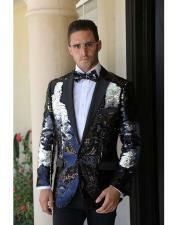 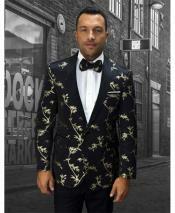 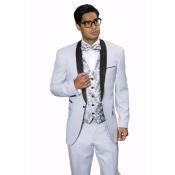 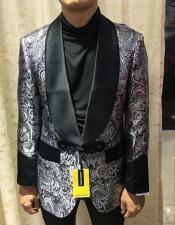 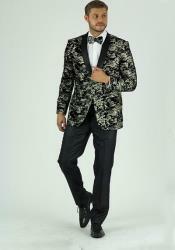 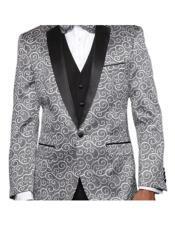 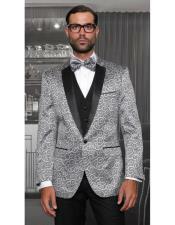 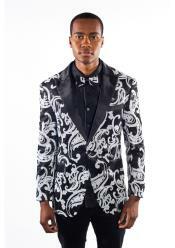 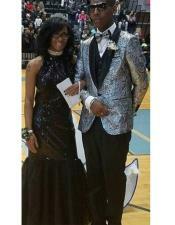 Tuxedos depict a royal look when worn for traditional occasions. 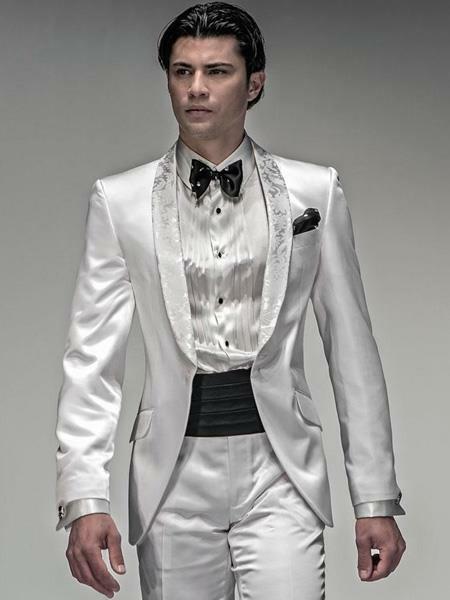 The color that the tuxedo is designed in also plays an important part in the personality of the person wearing it. 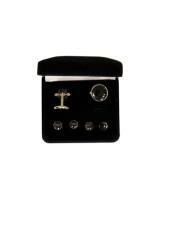 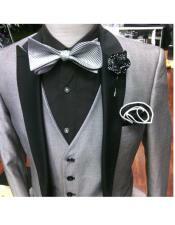 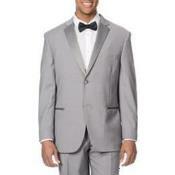 Common colors in the tuxedo include black silver and grey. 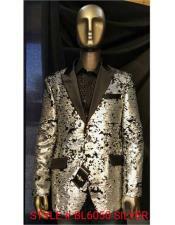 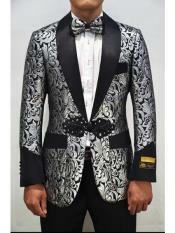 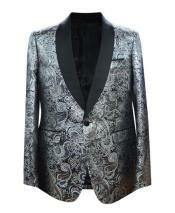 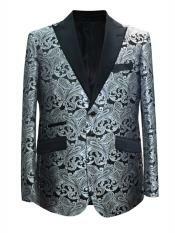 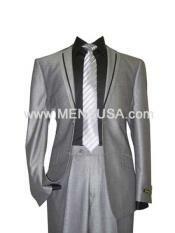 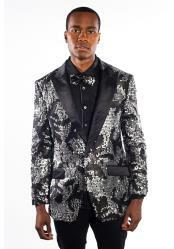 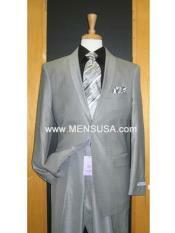 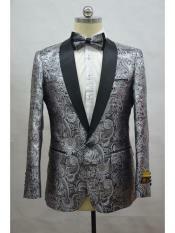 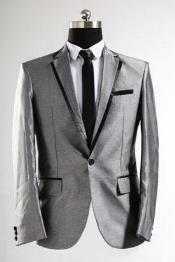 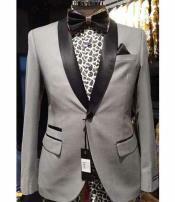 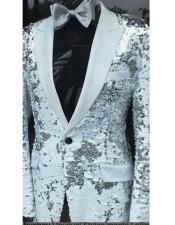 A lustrous silver colored tuxedo is considered as "grace factor" kind of style on the person who wears it. 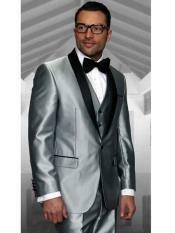 Selecting a silver tux suit featuring a three button single breast front, with satin notch lapels satin besom pockets, side vents and polished from satin lustrous blended fabric material is sure to turn all eyes towards your outfit. 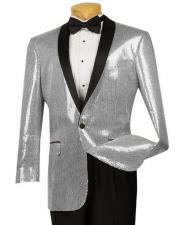 Wearing such a silver colored tuxedo makes you look trendy and makes the evening more memorable. 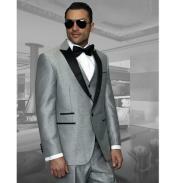 Any name that is given to a Silver tuxedo is acceptable for its classy looks and attractiveness. Call it confidence, or call it style, this piece of garment is sure to win many hearts. 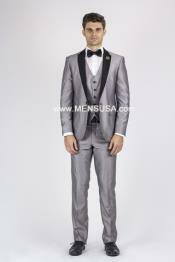 When you are attending a prom party, or a wedding reception, you can certainly count on a Silver tuxedo for an extra touch of glamour and style in your looks. 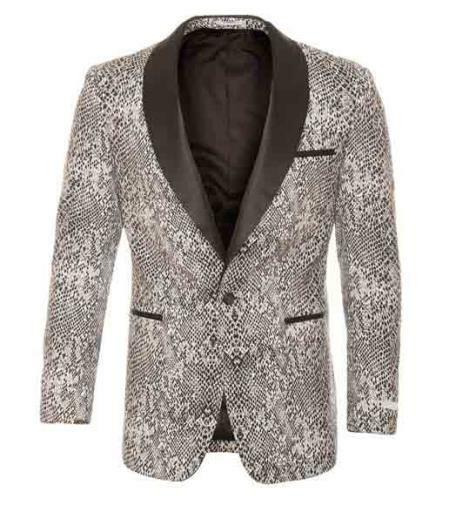 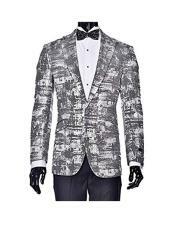 A perfect choice for any Christmas eve or new year party where black and white are common colors, this silver tuxedo suit stands out amongst all with its regal and sophisticated looks. 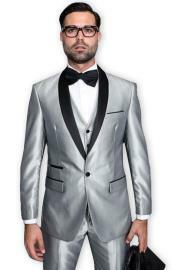 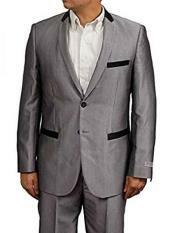 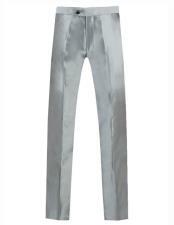 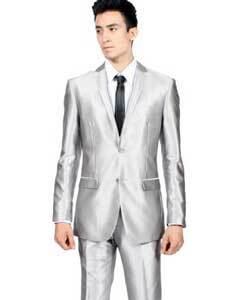 These days silver tuxedos are really very popular among men. 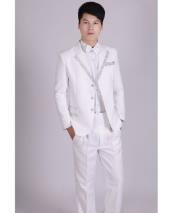 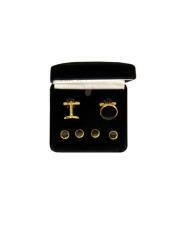 They look formal and traditional for any ideal occasion and at the same time are comfortable to wear. 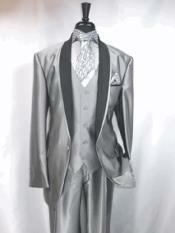 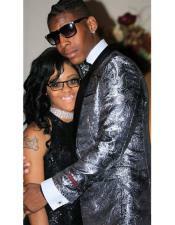 Wearing a silver tux suit makes you feel confident about our style and adds credits to your fashion statement.